If your job requires you to transport hazardous materials, it is essential that you receive adequate training. That is why Wayside Transport is the number one choice for ADR training Southampton has available. Our skilled teachers have been helping people gain the necessary qualifications for years. Give us a call on 02380 175 767 or fill out the contact form on our website to find out more. We at Wayside Transport, are excited to offer exceptional ADR training. Southampton customers now have the opportunity to gain this vital qualification by way of our knowledgeable team. Thanks to our extensive knowledge and experience, we can provide a comprehensive training programme for any who need of it. Our Southampton ADR training is widely available as we happily provide training for organisations as well as individuals. Regardless of who we are training, we will always give them the knowledge needed to both improve their driving skill and enhance their understanding of the road. Trainees will walk away from our services feeling more confident in their ability to drive and to handle hazardous materials. 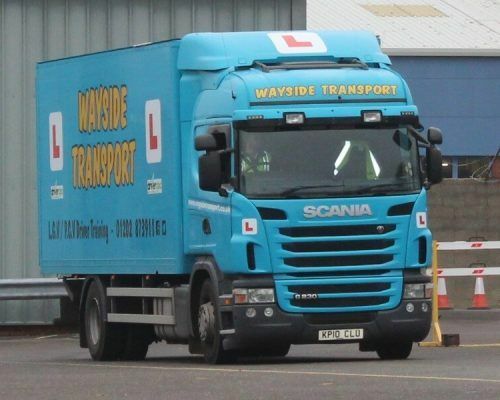 All of our staff at Wayside Transport are fully qualified instructors and as such can offer in-depth training. They are both highly experienced and knowledgeable in what they teach and can cover advanced training to the betterment of your qualification. While training they make sure to clearly explain what you need to do and exercise patience so as you don’t feel under pressure. It is thanks to this patient and transparent approach that our instructors can deliver the best ADR training Southampton can offer. ADR training in Southampton is a necessity if you’re driving a heavy duty vehicle carrying hazardous materials. Our training covers the basic safety procedures involved with transporting potentially dangerous goods and makes you aware of what you’d need to do should an incident occur. The course is broken down into several parts, each helping you to build up your knowledge of certain hazardous materials. Thanks to the varied skill of our staff, we feel confident in our ability to provide training for all these different qualifications. We understand that many jobs require employees to have this training and we recognise that it can be challenging to find a reliable place to get it. That is why we are proud to have such knowledgeable staff at our disposal who are readily available. It is because of their ability that we can deliver the best ADR training in Southampton. We always aim towards complete client satisfaction and want more than anything for our customers to walk away pleased with our service. It is then a huge point of pride when we receive such positive testimonials on our website from previous trainees. It is because of feedback like this that we are convinced we offer the best ADR training Southampton has available. We at Wayside Transport are excited to offer our Southampton ADR training in partnership with the relevant qualification boards. These partners include the Driver & Vehicle Standards Agency as well as the SQA, both of which are respected industry bodies. Recognition from them is a sure sign to our customers that when they decide to train with us, they are receiving a professional service. So, get in touch with Wayside Transport and start taking advantage of the best ADR training Southampton has to offer. We are always looking to boost the knowledge of drivers that are keen to broaden their skill so contact us today to find out how we can help you. Call us now on 02380 175 767 or fill out the contact form on our website to speak to a member of our team.